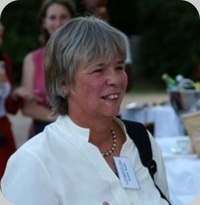 Prof. Pauline M. Rudd is the NIBRT Professor of Glycobiology at University College, Dublin. She heads the Dublin-Oxford Glycobiology Laboratory Research Group at the National Institute for Bioprocessing Research and Training in Ireland. The group has developed a platform technology for high throughput, detailed, quantitative glycan analysis. The current applied programme is focused towards the needs of the Biopharmaceutical Industry and the research programme is targeted towards identifying and testing robust glycosylated disease biomarkers, particularly for cancer and rheumatoid arthritis. Prof. Rudd was a Founding Scientist of Wessex Biochemicals (later Sigma London), Visiting Research Associate at The Scripps Research Institute, CA, Visiting Professor of Biochemistry at Shanghai Medical University PRC, Visiting Scientist at Ben Gurion University of the Negev, Israel and an Erskine Visiting Fellow, Canterbury University, Christchurch, New Zealand. She is on several Scientific Advisory Boards including Florida International University (Miami) and the Centre of Excellence, the Rega Institute for Medical Research, Leuven, Belgium. She was recently a University Reader in Glycobiology and Senior Research Fellow in the Glycobiology Institute, Oxford and is currently an Honorary Professor at St. George’s Hospital London. Prof. Rudd has published over 130 scientific publications and spoken at more than 200 international meetings. She is an elected member of the ISSR learned society and has given more than 60 lectures and published 16 papers relating to the public understanding of science. She has given approximately 20 interviews on radio and TV.